These days we’re seeing increased numbers of people working at heights, from roofs and towers to maintenance, construction and more. Ultimately, fall protection is about protecting workers by providing them with the best fall protection equipment possible—and ensuring that equipment stays in safe working condition. 1. Does OSHA require inspections on fall protection gear? Yes. In a nutshell, personally inspect your gear before each use. And at least once a year (or more frequently if required by the manufacturer), have your gear inspected by a Competent Person. Sharrow ‘s inspectors are trained certified as Competent Persons to inspect all fall protection gear. 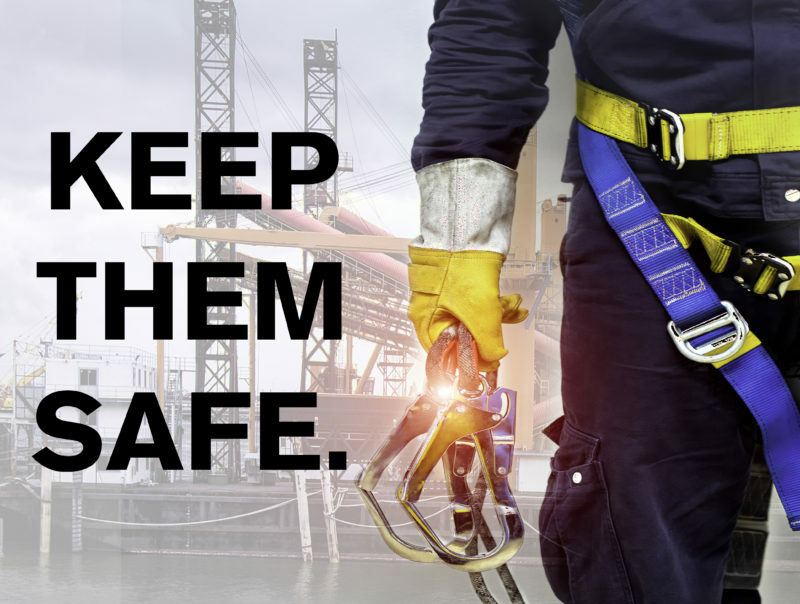 They will inspect your fall protection gear to OSHA, ANSI and ASME standards. 3. What does Sharrow do when it inspects fall protection gear? Sharrow inspectors will look over every part of your fall protection gear, from harnesses and lanyards to retractable lifelines and more. Each of our qualified inspectors are trained to identify unsafe gear to ensure the safe use of your system. 4. Do I have to bring my gear to you? No, Sharrow’s inspectors can come to your worksite (but you can bring the gear to Sharrow’s New Brighton site if you prefer). 5. Does Sharrow also sell fall protection gear? Sharrow provides all types fall protection equipment including harnesses, lanyards, retractable lifelines, anchor points and more. Although following OSHA and ANSI standards is important, they were only designed to outline the minimum requirements. Providing the safest workplace possible requires companies to exceed minimum requirements. It ensures the safety of your gear. Your life or livelihood depend on it. Inspection is a key element of creating a healthy culture of safety. Sharrow inspectors will look over every part of your fall protection gear. Each of our qualified inspectors has been trained to identify worn components to ensure the safe use of your system. If your self-retracting lifelines and confined space rescue equipment is in need of repairs, Sharrow’s factory trained technicians will repair them with the proper parts and expertise, bringing them to original factory specifications. If your equipment is showing signs of wear, Sharrow can recommend the best replacements for your application. We pride ourselves on our level of customer service and our ability to identify and fix the problem quickly and correctly.